Chromeo are back with their first project in quite a while and to celebrate it they gave us a live, stripped down version of their funk filled “Must’ve Been” with DRAM. The video was made in partnership with FADER so as expected the video is a hazy, smoke filled affair but it sets the vibes perfectly. Although Bobby Tarantino II was probably my least favorite Logic project, there’s no denying that “Contra” knocked something serious in the whip. He leans into the stunting nature of the song with a video full of cash by the truck loads and expensive cars. Not the typical Logic material, but this is his more braggadocio alter-ego at the helms. Not content with letting Nas enjoy his long awaited time in the sun, Jay-Z and Beyoncé surprise dropped their long rumored joint album. The first single to get the visual treatment is also their most club ready – “Apesh**t”. 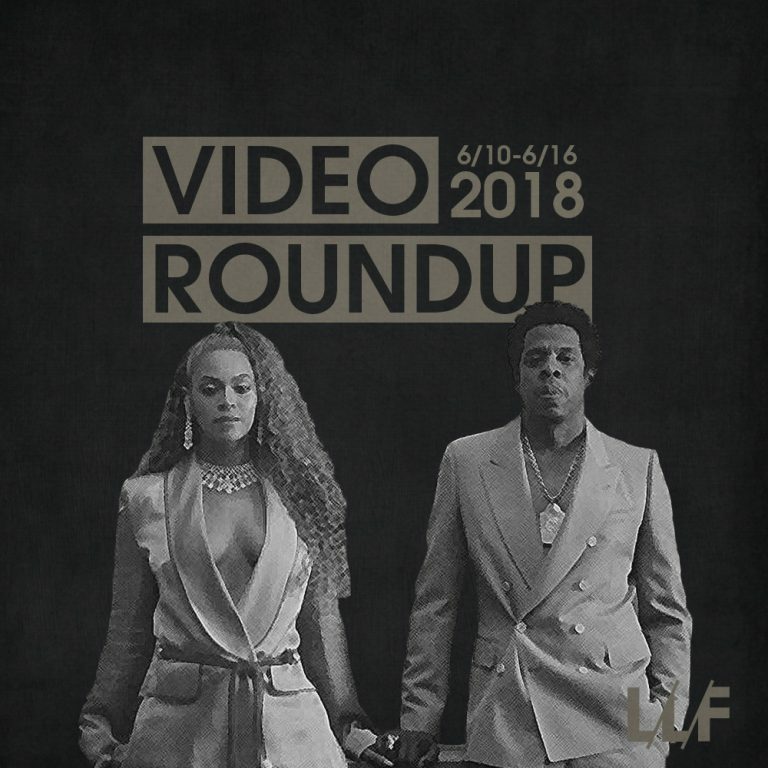 Instead of taking things to the club however, they take it to the Louvre (which in and of itself is probably the most ballingest sh*t ever that they were even allowed to do so), and seemingly build off Jay-Z’s “Family Affair” video. Not only in color pallette but the symbolism alluding to family, heritage, history, and blackness. Oh and just plain stunting with all the high art. Jay Rock has just released his most banging project yet and he’s given us another visually arresting video, this time for “The Bloodiest.” It’s chock-full of more symbolism than we’re used to getting from Rock but I love the new direction he’s taking and the way he’s upping his artistry as a whole. Outside of “God’s Plan” I haven’t really liked any of the singles Drake has put out so far, but he’s pulled out all of the stops for the visuals. “I’m Upset” may be average but the video for it is anything but as he takes us all to a Degrassi reunion, and it’s everything we didn’t know we wanted. However, it is impossible not to hear him repeat “I’m Upset” over and over again and not instantly think about the Pusha T situation he ‘bowed’ out from. Check out everything I rounded up below and let me know which ones were your favorites.